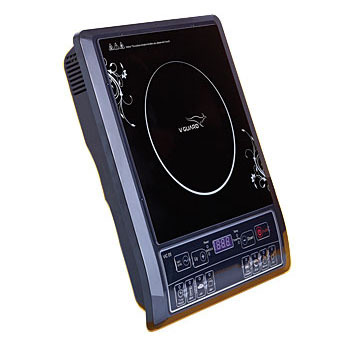 Today there is a wide variety of induction cooktops, and to find the best amongst them seems like an uphill task. So, discovering the V-Guard VIC 05 with soft switch controls for smooth operations, 4 digit LED display and 24 hours pre-set functioning is a delight in itself. Bring home ultimate style and convenience with this Induction Cooktop that’s built to last. With a sturdy crystalline ceramic glass that is not only attractive but also reliable, an energy efficient performance and stylish design, it’s just what your kitchen needs. A product so effective, so convenient should be a part of your kitchen without any second thoughts. Omit all the extra efforts that go out in the kitchen and give yourself and your family more time without worrying about what’s on stove!